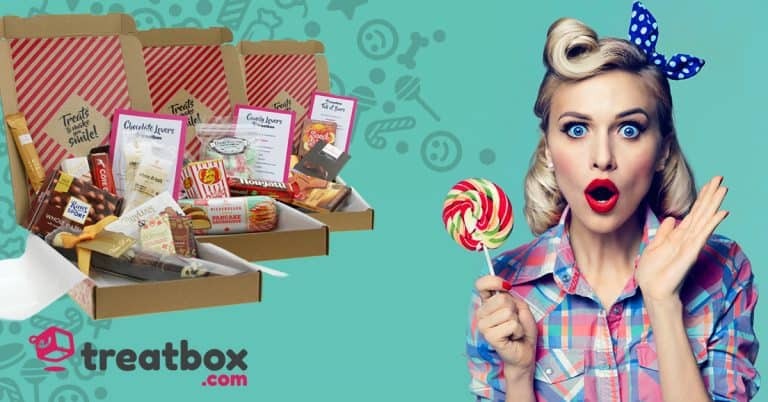 If you have a sweet tooth, you’ll love Treatbox! 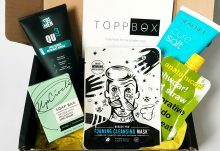 They offer a range of tempting monthly subscription boxes to cater for Chocolate, Candy and Liquorice lovers. 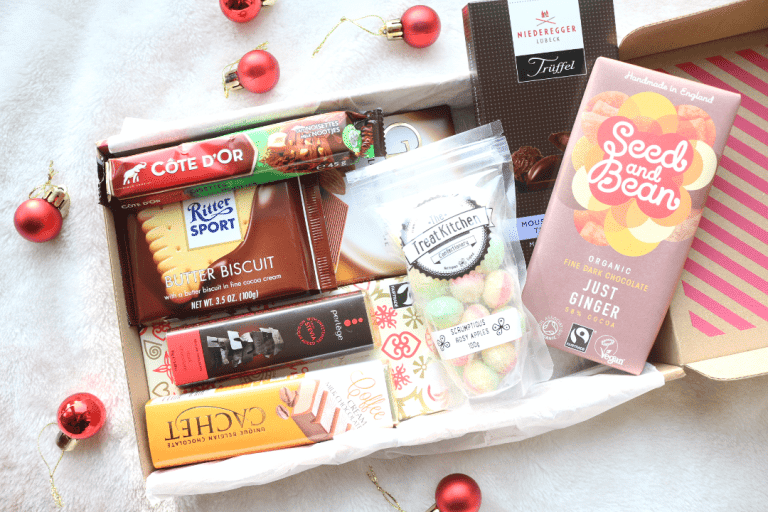 Each box has been specially put together and Treatbox promise that every monthly box will be completely different from the last, so that you can continue to try out a brand new selection of treats and help you discover old and new favourites from across the globe. 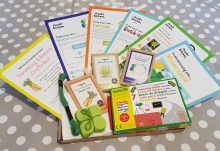 The contents of the boxes also offer great value for money, with typical values of over £20 per box if you purchased the products individually. In addition to all of that, subscribers can change their subscriptions whenever they like, so if you fancy a chocolate box one month, and a candy box the next, you can do that! You can also pause, cancel and send a friend a treatbox from any given month, so you have complete flexibility and control over your subscription with Treatbox. Being a total chocoholic, I was kindly sent one of their ‘Full Of Bars‘ boxes to review and what a treat it is! The box arrived beautifully presented wrapped in tissue paper, and with a menu listing the contents. Let’s see what’s inside shall we? Guylian chocolates are household favourites, but I usually only buy them in boxes, so it was great to try out one of their bars for a change. 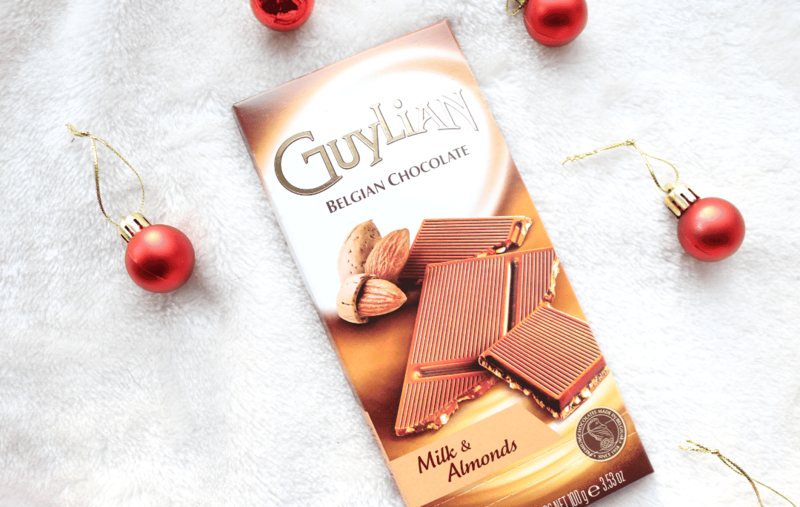 This one is their classic and much-loved Belgian Chocolate, which is generously studded with lots of pieces of Almonds. Absolutely delicious! 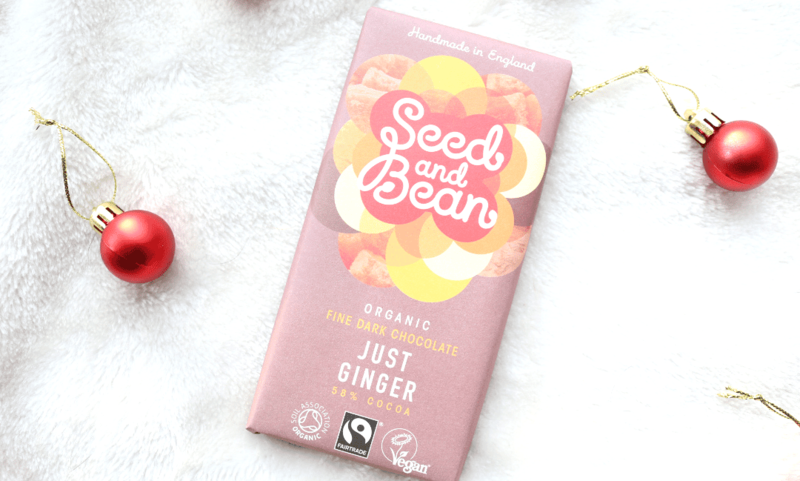 Handmade here in England, Seed & Bean are a popular organic chocolate brand and their Just Ginger bar features a rich and dark blend of West Africa’s finest Sao Tome cocoa which has been ethically sourced (100% ethical accreditation from The Ethical Company Organisation). It’s also fairtrade certified and suitable for vegans. The ginger gives it a unique taste that’s very different, but still incredibly moreish at the same time. 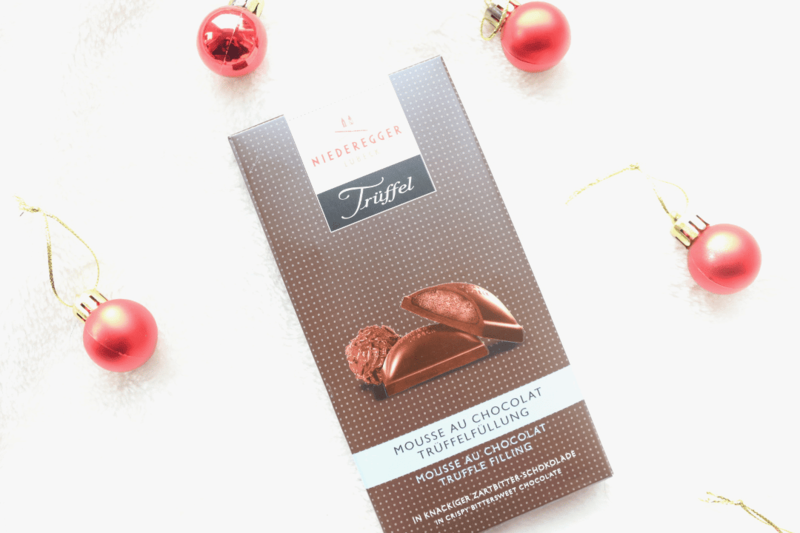 Next up, I found a bittersweet chocolate bar from German brand Niederegger, that has a mouthwatering mousse au chocolat truffle filling. Very rich and delicious, this is the perfect chocolate to enjoy after a dinner or when you only want one or two squares to satisfy a craving. 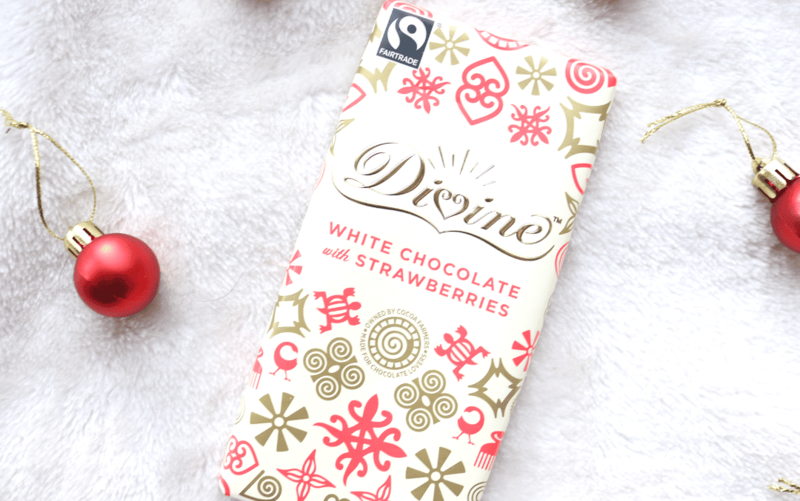 White chocolate fans will adore this bar from the ethical and fairtrade brand Divine. It’s the perfect combination of sweet and creamy white chocolate with crispy Strawberry pieces, for the ultimate strawberries and cream indulgence. Yum! 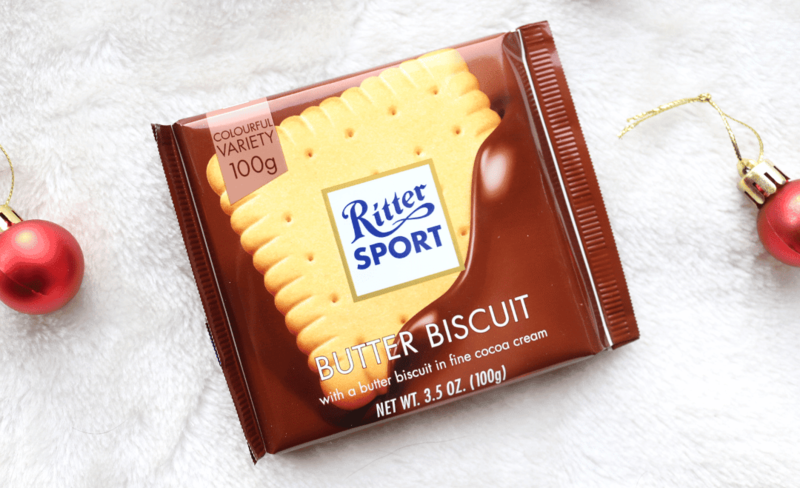 I love, love, love anything from Ritter Sport and find their chunky square bars to be such a satisfying treat! This one features their popular Butter Biscuit which is wrapped in a generous layer of milk and cocoa cream chocolate. I’ve tried it before but I haven’t had it in a while, so it was a lovely surprise to see it in this month’s box. 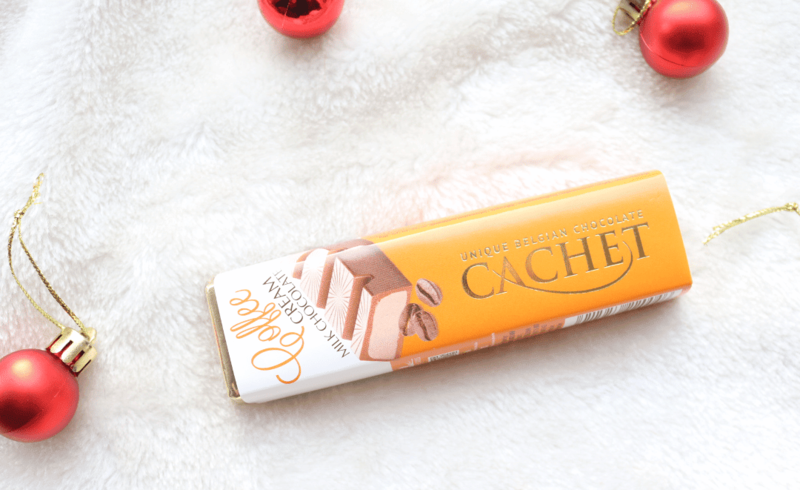 Coffee and chocolate is one of those flavour combinations that always works so well and I particularly enjoyed this bar from Cachet. It’s very thick and chunky and has a delicious coffee cream filling that’s surrounded by fine Belgian chocolate. So good! 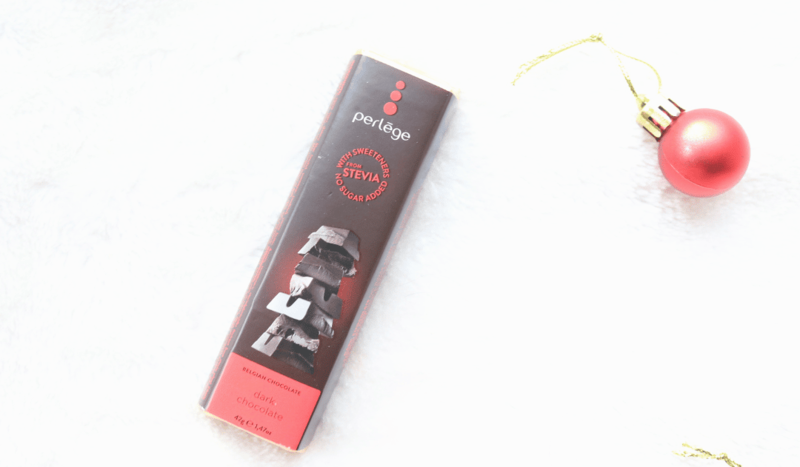 For something healthier, this Perlege Dark Chocolate bar contains no added sugar and is instead sweetened with Stevia which is interesting to see. It’s obviously not as rich or indulgent as some of the other bars in this box, but I enjoyed the opportunity to try something different nonetheless. 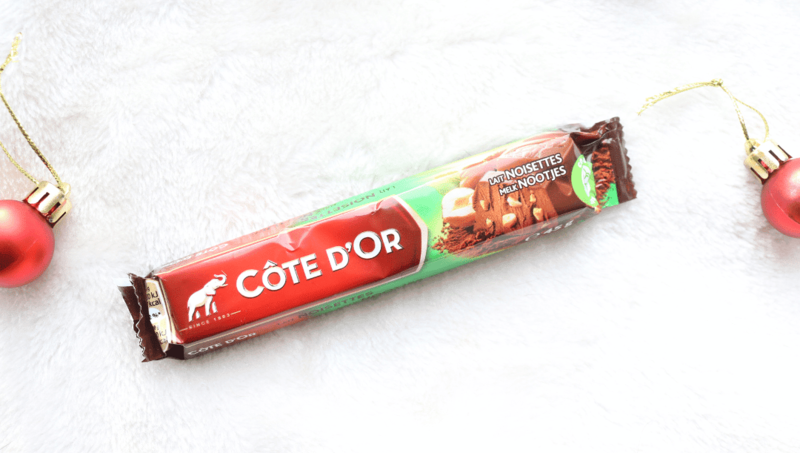 The last bar comes from Cote D’Or and this one’s their Lait Noisettes – a delectable milk chocolate and nuts combination that really hits the spot. I can see myself becoming addicted to these! As an extra bonus treat, Treatbox also included an item from their Sweet Shop box so that you could sample some of their products. 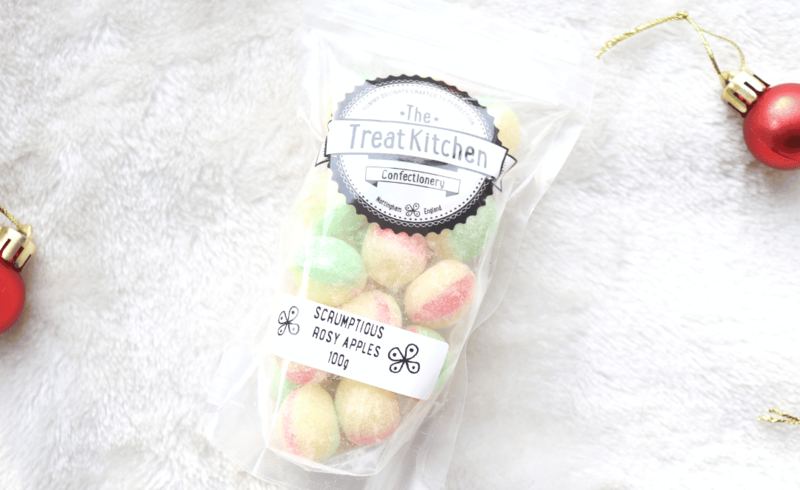 I received a pouch of Scrumptious Rosy Apples from The Treat Kitchen, and these have been well received by everyone in my house and have a lovely nostalgic flavour to them. An amazing selection of chocolate bars from a range of high-quality brands. I loved the variety of flavours and definitely discovered some new favourites!